Here are logos and other assets for use on your websites or print materials. Please don't hesitate to contact us if you have a use case not covered here, or if you think you have good reason for us to make a change or exception. Don't worry, we're friendly. Projects and companies that use the book Two Scoops of Django are encouraged to incorporate the Two Scoops of Django logo and/or the Ice Cream Cone graphic into their websites, brochures, packaging, etc. 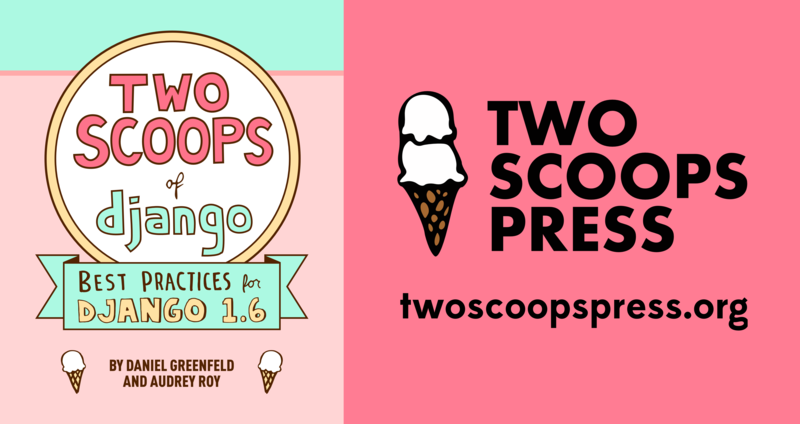 It can be a good way to indicate that you support/follow the best practices from the book Two Scoops of Django. Conferences, events, and groups that receive sponsorship from Two Scoops Press may use the Two Scoops Press logo and/or the Two Scoops of Django logo on their websites, brochures, and other marketing materials. 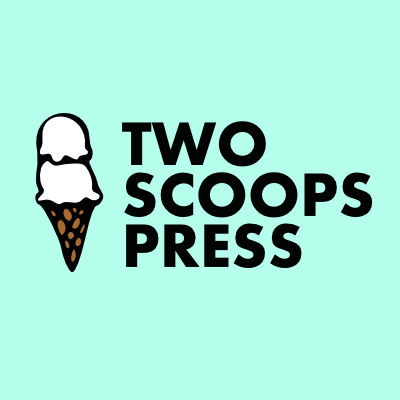 Do not use the Two Scoops Press logo in a manner that makes it appear as if your publication/project was published by Two Scoops Press. Do not use any of the logos on this page in ways that have nothing to do with Two Scoops of Django or Two Scoops Press. For example, please do not use our Ice Cream Cone graphic to refer to ice cream in general, unless it is in the context of something Python- or Django-related. There is a bit of gray area here, so ask us if you are unsure.